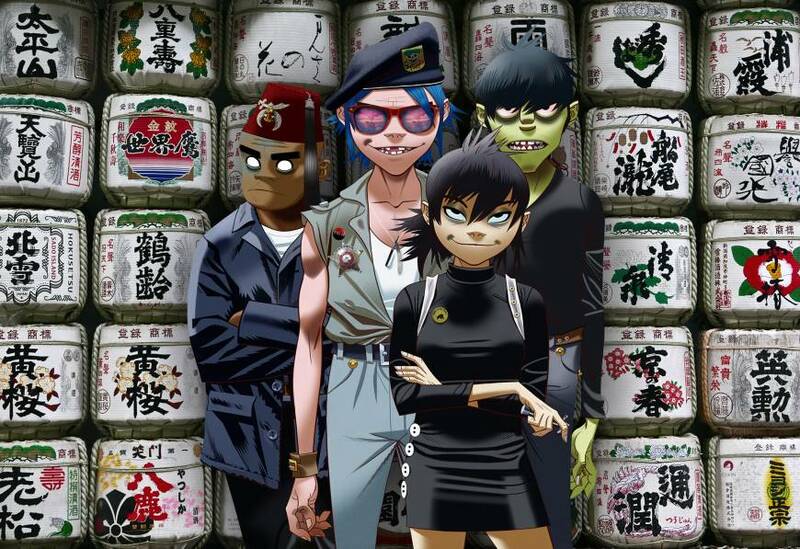 Tomorrow comes next week: Virtual band Gorillaz consists of (from left) Russel Hobbs, 2-D, Noodle and Murdoc Niccals. Gorillaz, the self-proclaimed “world’s most successful virtual act,” will grace Tokyo with a pair of concerts next week that will include the world premiere of new album “The Now Now,” which comes out June 29. Gorillaz, made up of animated members 2-D, Murdoc Niccals, Noodle and Russel Hobbs, told The Japan Times via email that their sixth studio album is inspired by “what is happening in the world right now” and their experiences of touring in the U.S. last year, where many of the new songs were written. Gorillaz is known for its inventive stage shows, which more recently have introduced hologram technology to the stage. Fans in Tokyo are in for a treat. 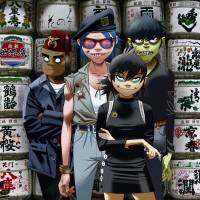 The link between Gorillaz and Japan has been strong from the start: Band member Noodle is the test child of a secret Japanese military project, arriving at the band’s studios in a FedEx crate sometime at the end of 1990s, and there’s a whole track on the B-Side accompaniment to the band’s first album, “Gorillaz,” dedicated to the Suzuki method of instrument learning. Gorillaz play Makuhari Messe in Chiba Prefecture on June 21 and Zepp Divercity Tokyo in Koto Ward on June 22. Tickets for both shows are on sale at www.gorillazjapantour.com.